The National Park of Cilento is located in the region of Campania, more specifically in the Province of Salerno, and, out of the entire region, is perhaps the place where building development has had the least impact. 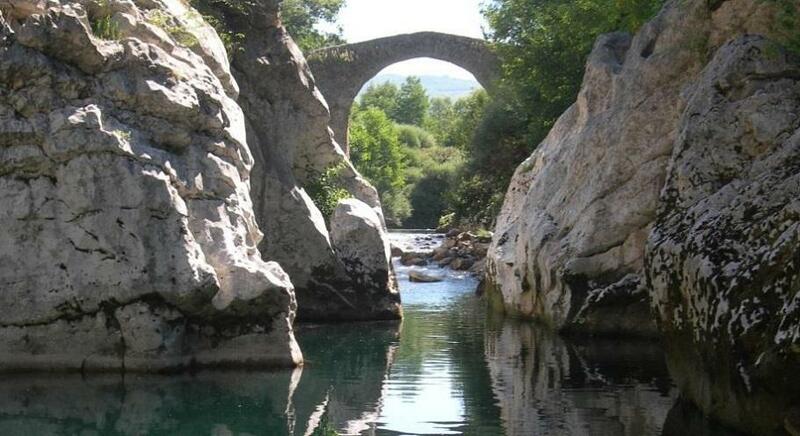 The Cilento and Vallo di Diano National Park, is a World Heritage Site. Here, you won't find the same perfection of the more popular settings found in Tuscany or Umbria or the well organized tourism you might have experienced in the northern Italian regions. However, this is a forgotten corner of Italy, where poverty and isolation have preserved old customs, languages and landscapes. 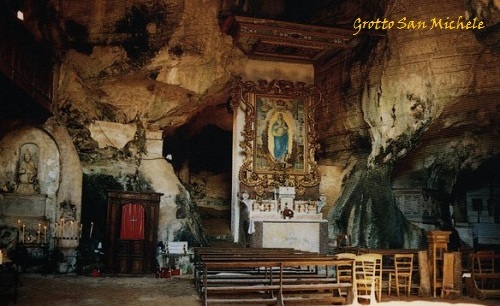 Here you will find old churches, altars and statues of saints hidden in dark caves . Rituals, festivals, fairs, processions and traditions, whose origins are lost in the midst of time...all in all, a destination that will give great unforgettable emotions to the unaware visitor. The Cilento and Vallo di Diano, in all the richness and suggestive variety: the valleys and hills, mountains, gullies and ravine, gorges, rocky ridges, parks and ecological oasis leading us into the heart of this mystic land. Here is still possible to find small mountain villages and enchanted marinas on the sea. Forests and plains, gorges and ravines, streams and waterfalls. Natural caves, huge and spectacular, carved by water over million of years. Shrines built on inaccessible peaks, reached by paths that preserve the ancient footprints of pilgrims who flocked from allover, and everywhere the traces , shaded or imposing of the Greeks, Romans and Lucanians. 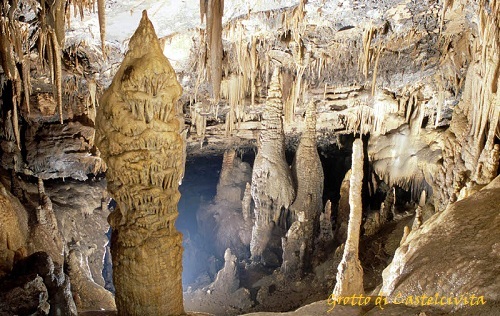 The most interesting grottoes, for both paleontological and naturalistic reasons, are those located in the tract of the Costa degli Infreschi, south of Capo Palinuro, as well as those in the area of Monti Alburni, with the Grotto of Castelcivita and the Grotto of the Angel (dell'Angelo) in Pertosa. 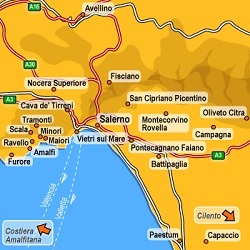 More expert hikers can climb the Alburni mountains, up Monte Sacro, Monte Stella and Cervati. The cave system Grotte di Castelcivita is the most important in the Campania region. Along the coastline, the Punta Tresino and Punta Licosa panoramic lookouts offer beautiful views and, continuing south, it is also nice to visit the Costa degli Infreschi with a route that departs from Scario. The towns along the coast are also worth visiting because of their position, landscape and the seaside views they offer. Park Outline: The protection and the promotion of the area's natural heritage (the Cilento area, including Monti Alburni, Cervati and Gelbison) is guaranteed by the institution of this large national Park that was established in 1995. The current challenge is to overcome and manage the considerable administrative difficulties that arise from its size, the large number of towns involved and the past mistakes made in the coastal areas of Palinuro, Marina di Camerota and Pisciotta. The landscape enclosed between the mountains and the rocky coast, from Monti Alburni in Sapri to Vallo di Diano and the Tyrrhenian Sea. 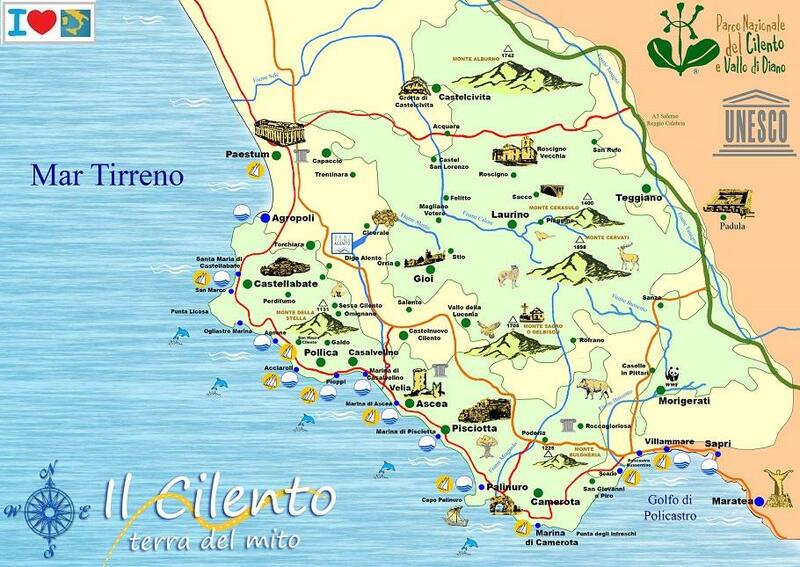 The Cilento natural heritage area has been conserved in good condition. The most well-known area is Capo Palinuro, a beautiful location with underwater caves and the crystal clear waters of the Gulf of Policastro. The interior of the Cilento Park is mountainous. Mounts Alburni and Cervati (the highest peak in Campania at 1.899 m), contain dense woodlands and small streams which run through the vegetation. The coast is jagged, though not very steep and, oddly enough, not ruined by tourist facilities. 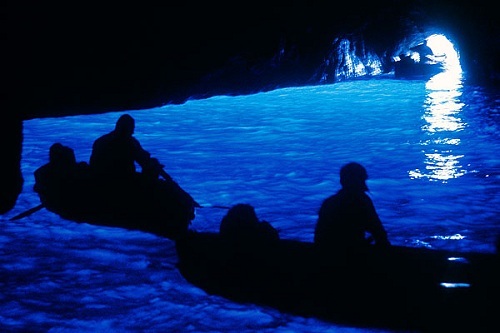 One of the most beautiful grottoes at Capo Palinuro is the Blue Grotto (the Grotta Azzura) with its two openings. One of these can be reached by boat, the other only by scuba diving. Continuing down south towards Punta Infreschi, one comes across a strip of coastline that is completely uninhabited and therefore fully intact. These places are accessible only via the sea. The Vallo di Diano is a narrow plain located on the bed of an ancient lake, stretching for 27 km. An irrigation system has turned the area into a very fertile agricultural zone. Wildlife: The strong contrast between coastline and mountains is the cause of the presence of two different plant ecosystems: one Mediterranean, the other Apennine. The Mediterranean area spreads down the coast, pushing towards the foothills. Typical species include the Holm oak, the Mastic tree, the Cornflower, the True myrtie etc. There are also Aleppo's pine forests. When the area is damaged by fire, the plant life that emerges afterwards includes Thyme and Scotchbroom. 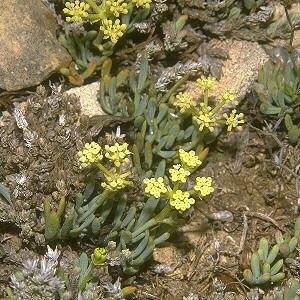 The Palinuro primrose is quite well-known as plant endemic to this region, it was discovered along the sloped walls of Capo Palinuro in 1787 by the botanist Petagna; it is a yellow flower that lives on the limestone rock formations facing the sea. Higher up, above the Mediterranean ecosystem, the first patches of woods made up of Maples, Hazels, Downy oaks, Mann ashes, Hornbeams, Turkey oaks and Sweet chestnut trees can be found. Above the 100 metre level, large Beech forests are present (the ones on Monti Alburni and Monte Cervati are particularly beautiful). Some areas even contain natural woodlands of Silver firs, a plant that is rare to the Apennines. On the foothills of Monte Cervati, there are forests of the even rarer Silver birch. There are tablelands above the Beech groves. Along the waterways, such as the Calore and the Tanagro, there are a few woods with trees such as Poplars, Willows and Alders. 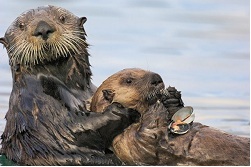 There is also the largest population of Otters in the country. After the Monk seal, this fascinating animal is the Italian mammal most at risk of extinction. The Otter was once hunted for its fur and today it suffers from the terrible state of its natural habitat filled with polluted waters, depleted vegetation and the disrupted riverbeds. The Park is also home to a few Wolves. More commonly found are Badgers, Pine martens, Weasels, Polecats and Foxes. 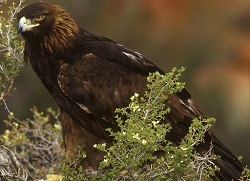 The bird life includes the Golden eagle, the Rock partridge, the Chough (especially in higher elevations) and other species that live along the non-polluted waterways such as the Kingfisher and the Dipper. The Green woodpecker, the Great spotted woodpecker and the rare Black woodpecker also nest here. Sparrowhawks, typical to forest ecosystems, can be found along with other nesting birds of prey such as the Peregrine falcon and the Red and Black kites. 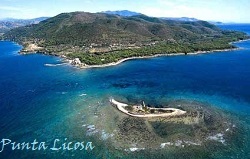 History and Culture: The Cilento and Vallo di Diano is the first Italian National Park to be listed in UNESCO's ranking of international cultural heritage sites under the cultural landscapes heading, as it is considered an exceptional example of the relationship between man and the natural environment in the Mediterranean, from Palaeolithic times to the present. 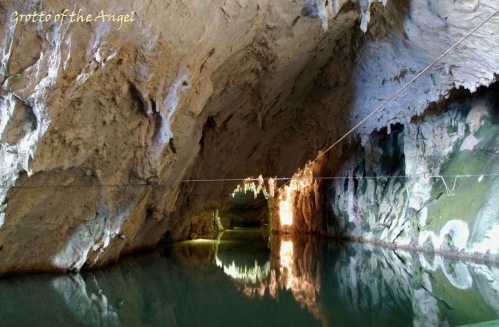 Signs of prehistoric settlements are found in the dense network of karstic hypogea (underground limestone caves). In the same area as the Alburni mountains, in S. Angelo a Fasanella, an underground cave that has been continuously used since prehistoric times up to the present, hosts a precious chapel dedicated to Saint Michael, one of the many craggy churches in the park. 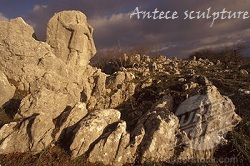 On the peak of Costa Palomba an important sanctuary is home to the Antece, a monolithic sculpture of a human figure, most likely dating back to the bronze age. It dominates a sacred area with an altar and a holy wall. Poseidonia-Paestum; and the Elea-Velia colony that lies within the Park. A vast system of Norman-Aragon watchtowers line the coast, connected by fortresses and castles to the main lands. There are numerous medieval settlements along the ridge and the coastline that house an immensely valuable artistic patrimony as can be seen by the myriad of chapels, noble palaces, etc. Some of the most interesting towns are Teggiano, founded by the Romans, in the Vallo di Diano area, and Castellabate, founded by the Benedictine order on a hill facing the bay where, according to legend, the mermaid Leucosia lived. 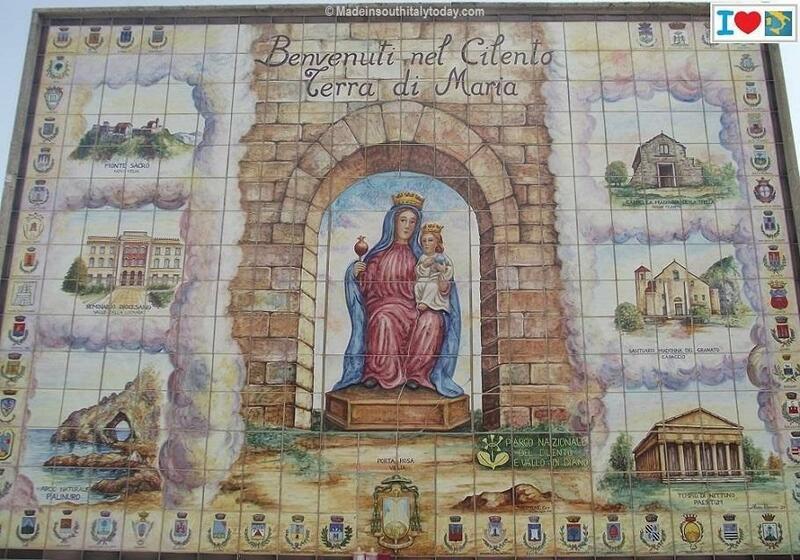 The area is full of abandoned towns that tourists enjoy visiting, such as S. Severino di Centola and Roscigno Vecchio. The latter, which has remained uninhabited since the 1900s due to a threat of landslide that never occurred, faithfully preserves the characteristics of a farming village. At the eastern edge of the Park is the Certosa di Padula, considered one of the gems of 9th century monastic architecture. Not far from the Certosa is the Baptistery of S.Giovanni in Fonte. Starting from from San Severino, part of the municipality of Centola, a medieval hamlet abandoned, overlooking the valley of the Mingardo river. 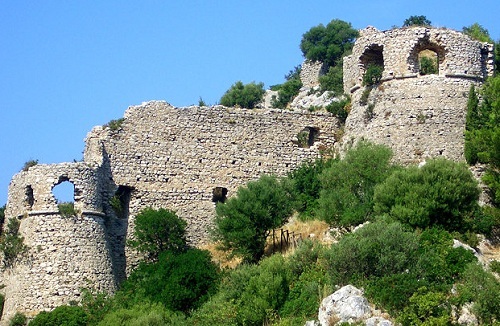 Here, apart from scenery, you may admire the ruins of a castle and of a church, dating back to the 10th-11th century. A few kilometers away, perched on the slopes of the Monte Bulgheria, stands Celle di Bulgheria. We suggest you take a walk around the historical centre with its numerous rock portals and the Chiesa di Santa Maria della Neve with an 18th century altar. If you wear trekking boots, you may take a hike on the peak of the calcareous mountain, reaching an altitude of 1225 meters. More ancient origins characterize Roccagloriosa, a century-old place. Nature lovers may want to visit the WWF Oasis of Morigerati. The trip ends in Policastro Bussentino enclosed in medieval walls built under the Norman Rule. Don’t miss the Cathedral, whose origins date back to the end of the 11th century. 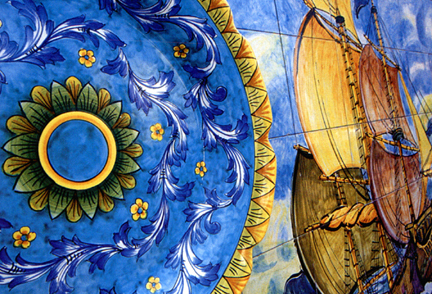 Typical Products and Craftwork: Products from the Cilento area typify the handicrafts of the Campania region. Ceramics, coral, wicker and many other products which are still made using traditional methods. 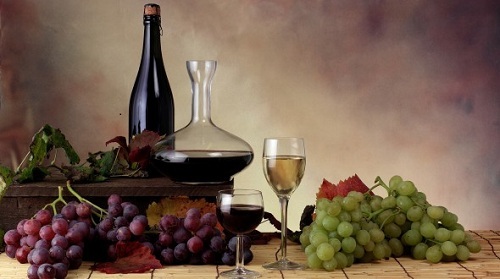 The local wines are of the highest quality, many of them bearing special DOC certification, such as the Cilento white, the Aglianico red and the Malvasia, Fiano di Avellino, l’Irpinia, Taurasi DOCG, Greco di Tufo.